Combining research-based theory with fresh, practical guidance for the classroom, The Essential Guide to Secondary Mathematics is a stimulating new resource for all student and practising teachers looking for new ideas and inspiration. With an emphasis on exciting your mathematical and pedagogical passions, it focuses on the dynamics of the classroom and the process of designing and using rich mathematical tasks. Ideas for lessons: what does it take to turn an idea into a lesson? Assessment: effective strategies for responding to learners‘ mathematics and writing reports. 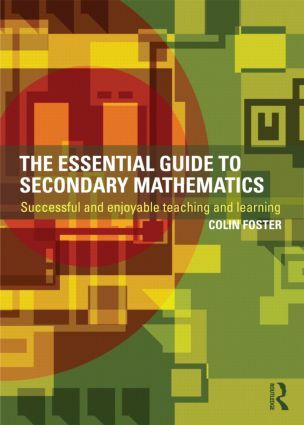 The Essential Guide to Secondary Mathematics will be a valuable resource both for beginning teachers interested in developing their understanding, and for experienced teachers looking to re-evaluate their practice. Aiming to develop all aspects of your mathematics teaching, this book will help you to devise, adapt and implement ideas for successful and enjoyable teaching and learning.